Escape gravity and float into space with this trippy jazz compilation brought to the world by DJ Mark Farina. 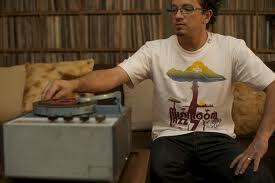 Farina is best known for his works in house music, downtempo and acid jazz- particularly this Mushroom Jazz series. Farina clinched success in combining the styles of house music and acid jazz but also mixing in the flavor of Zulu Nation. Speaking of flavor, around 9 minutes you will even catch a smooth jazz remix of “Flava in Ya Ear.” You actually might want to wake and bake for the optimal experience of this Mushroom Jazz.